As the new year rolled in, you, or a relative or yours, may have made a new year’s resolution to get fit this year. But as the end of January approaches, you might be feeling tempted to abandon those promises you made to yourself (if you haven’t already). We’re here to remind you of the benefits of exercise for older adults so that you don’t give up on the positive steps you’ve already taken. And if you’ve not started yet, now’s your chance to get going. As we get older, past the age of 65, the UK population tends to become less active. Working less means moving less, and this increasingly sedentary lifestyle can lead to a significant reduction in mobility. Energy: Exercise releases feel-good hormones giving your energy levels and your happiness levels a boost. The more you do, the more you’ll want to continue, making exercise not only good for your fitness but excellent for wellbeing too, helping to combat depression and anxiety, which are both commonly linked to an inactive lifestyle. Independence: The more you move, the less likely you are to rely on family or household aids to carry out daily activities. Exercise is a great way to help you stay as independent as possible for as long as possible. WHAT TYPE OF EXERCISE IS BEST FOR THE ELDERLY? You don’t need to go to the expense of a gym membership to build your fitness. Staying active around your home and garden is a great way to keep moving, plus your house and its surroundings will look great too. 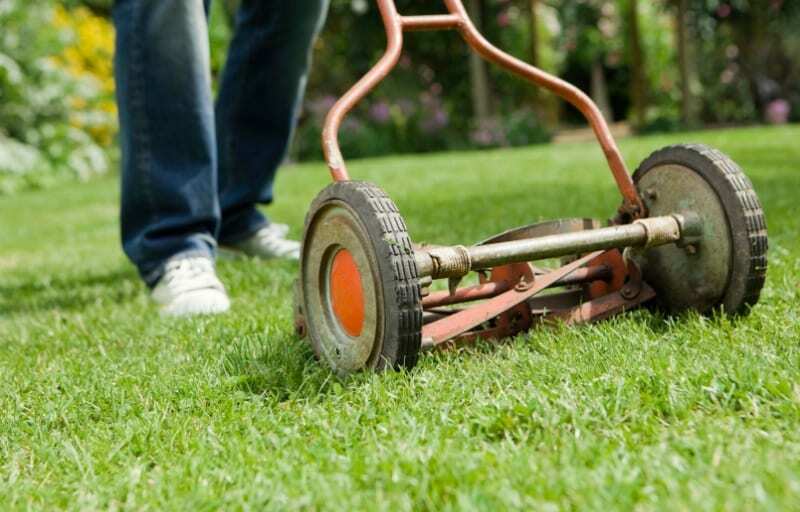 Mopping, hoovering, and pushing a lawnmower, are fantastic ways of staying mobile whilst using your upper and lower muscle groups, without the need to bend or kneel. Returning to exercise doesn’t have to mean running around the park or hiking over hill and dale. If your mobility is reduced there are simple exercises you can attempt from the comfort and support of a chair that will help to get your heart rate up and release those feel good endorphins. The NHS provide a programme of sitting exercises to warm up your upper body and get your legs moving while reducing the risk of falls. Visit your local pool and take a walk in the shallow end. Walking up and down will help to get your heart pumping thanks to the gentle resistance from the water, and the low impact nature of this exercise will help to relieve aches and pains and protect your knees and joints compared to walking or jogging outdoors. 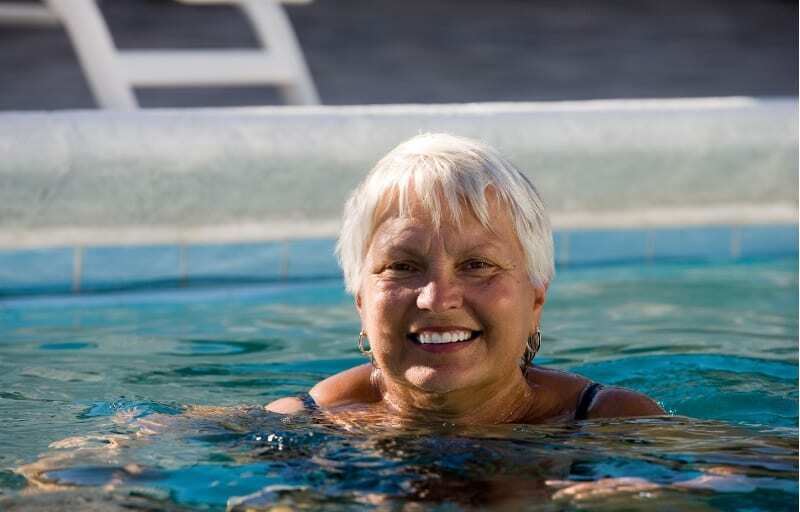 Once you’re feeling fit, ask your local gym or leisure centre about water aerobics to really work up a low-impact sweat. When you make up your mind to improve your fitness, you don’t have to go it alone. Your local health improvement team or council sports development team can put you in touch with a range of groups or organisations that would be suited to your level of ability. Clubs and groups for older adults are increasingly popular and you may be able to find things like walking football and rugby or dancing and hiking on your doorstep. Not only will you start to feel physically better, having the chance to meet likeminded people who will offer support, advice, and encouragement as your strength grows will also do wonders for your wellbeing. Yoga is a wonderful way to introduce yourself to exercise. Although images of lithe ladies bending into seemingly impossible positions may feel a little off-putting, finding a great yoga instructor should help you to feel a little less intimidated. 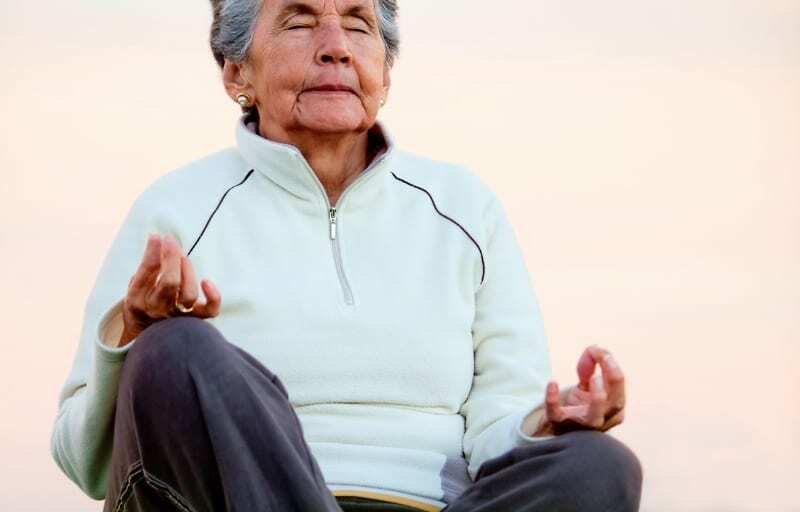 Starting off with gentle stretches your confidence and flexibility will grow and with regular practice you’re very likely to surprise yourself with what you can achieve over time. If you need a little help with your mobility, especially managing the stairs, until you build your strength up again, installing a stairlift could be a great solution. With no need to fix to your walls or flooring, a new or reconditioned stairlift can be removed when you no longer need it without any damage to your home. Or, if you’re regaining your fitness after a hospital stay, stairlift rental might be the perfect temporary option for you until you get back on your feet. 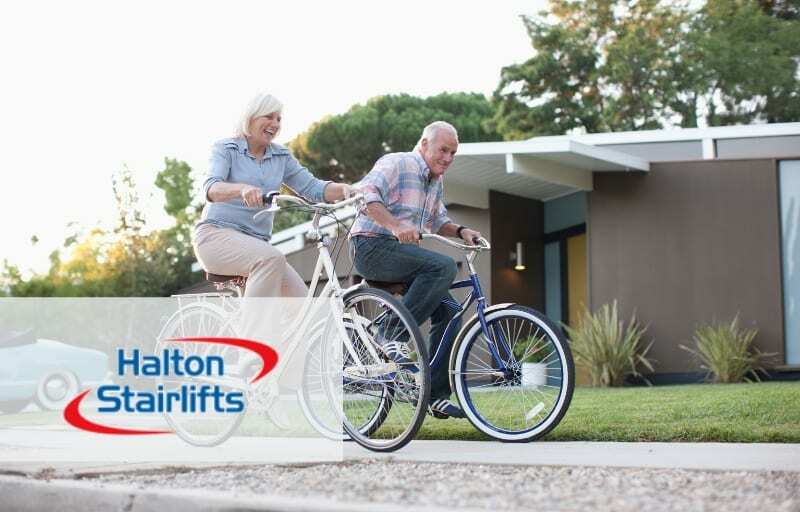 Request a free Halton Stairlifts brochure or contact our team for a free no obligation quote.